Often, the best way to climb Hood is also to ski Hood. We can work with you to find the best objective for you, but significant previous experience is required.Your day will begin early in order to catch the first chair. If, due to weather, the lifts aren’t running, it’s time to put on skins and head uphill. Either way, we’re aiming to bring our skis as close to the summit as we’re comfortable. Today we’ll use our rope-skills to belay steep sections, wear crampons on on our ski boots, and climb steep snow and alpine ice. After the summit, we’ll reverse any technical terrain to a location that’s suitable for transitioning into downhill skiing. This is what you came for: to ski hood. 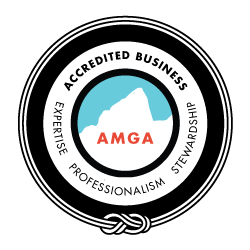 On the way down, your guide will sniff out the best snow conditions, and find the best skiing depending on weather, conditions and your goals. The descent is usually around 2,500 feet of wild snow, anywhere from mellow to steep, depending on the route selection between you and your guide. After that, we drop back into the groomed resort at 8,400 feet and ride corduroy another 2,400 feet back to the Timberline Lodge. 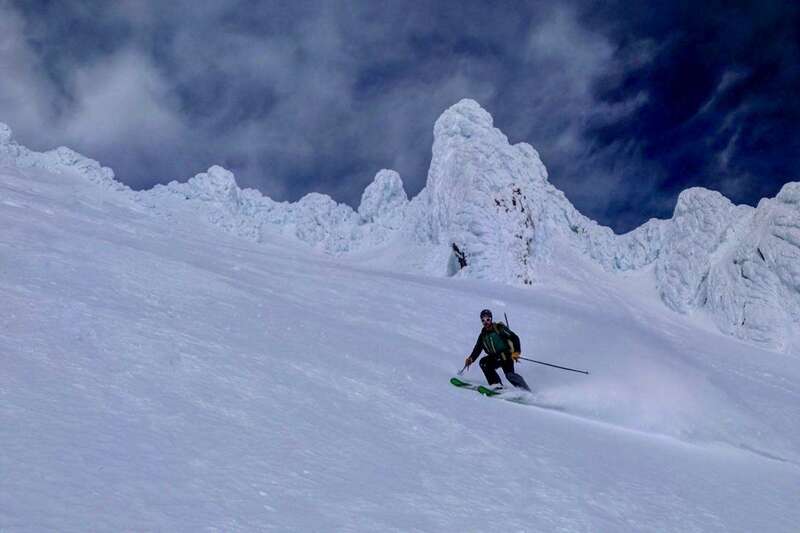 Skiing from the summit ridge of Mount Hood is a lifetime run right in our backyard. The Hogsback and Old Chute are two popular ski descents. Beyond those, dozens of other lines are viable runs for expert skiers, including Leuthold’s Couloir, the Wy’East, and even the Cooper Spur. Come explore the testpiece of Oregon ski mountaineering with us! Broken Top has some of the steepest winter skiing in the state. Curious? Look at the alpine snow climbs – they’re also ski runs!